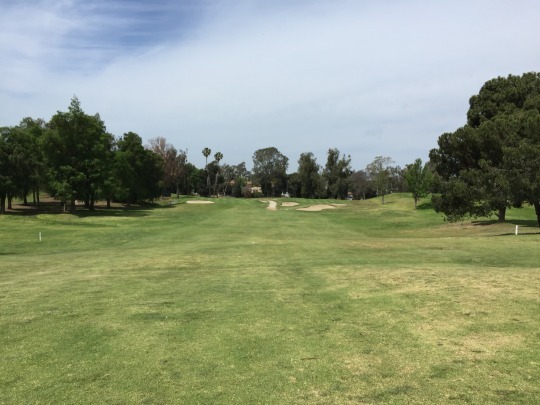 After three long days of driving and playing golf throughout the Central Valley, I was back home on Sunday and on the course once again. I would have preferred a day of rest, but this round was already set up weeks ago and I didn’t want to bail out on my friends. 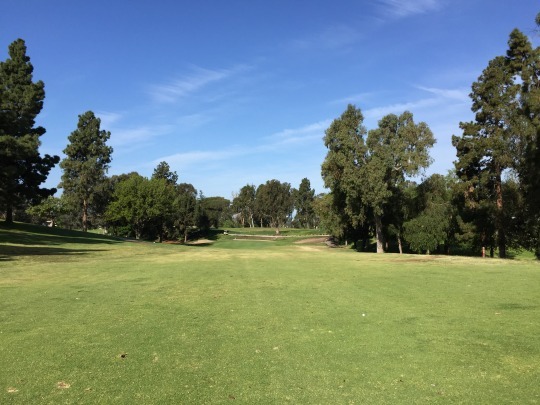 One of my friends has a Los Angeles resident card and was able to book us a sweet 7:12 tee time at Rancho Park well in advance. The price was $43 to walk. 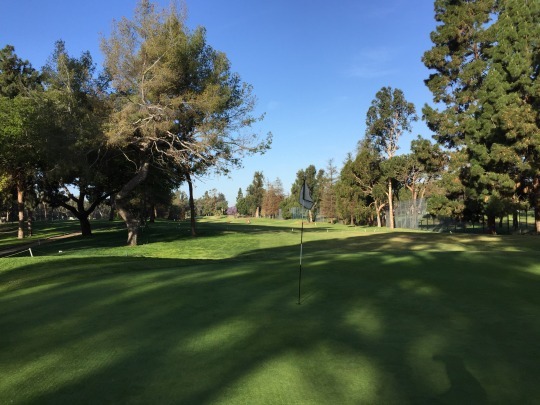 This is well known to be one of the area’s busiest golf courses. I only played here once probably 10 years ago. 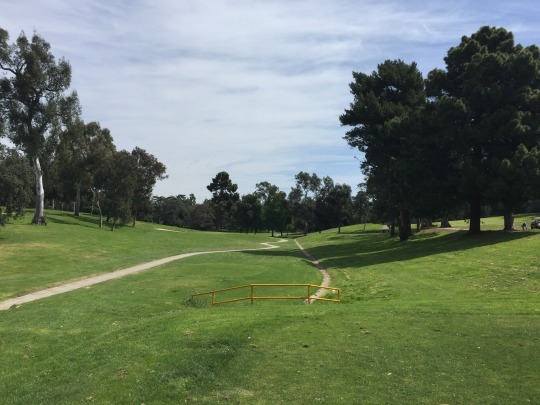 I remember it being a somewhat enjoyable layout, but the appeal was more about the history of the course. 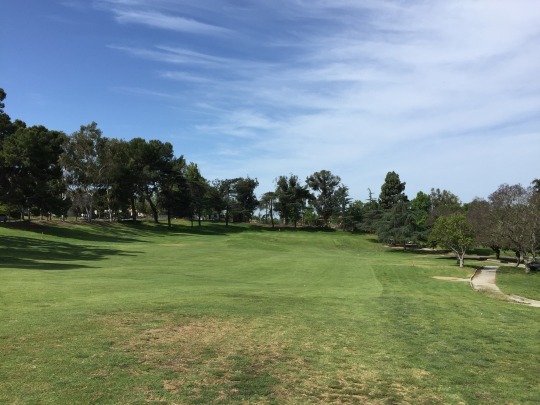 Rancho Park is interesting in that it’s the classic public option in the city amidst the area’s most prestigious old private clubs. Hillcrest is right next door, then Bel-Air, LACC, The Riviera and Wilshire are all pretty close by. 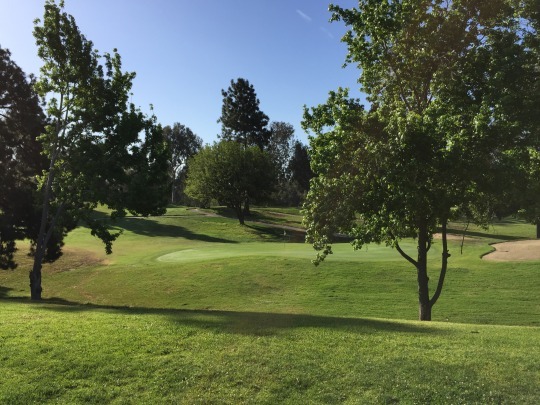 In fact, Rancho Country Club, as it was once called when it opened in 1921, used to be private before the city ultimately took over the property and expanded the parkland around the course. 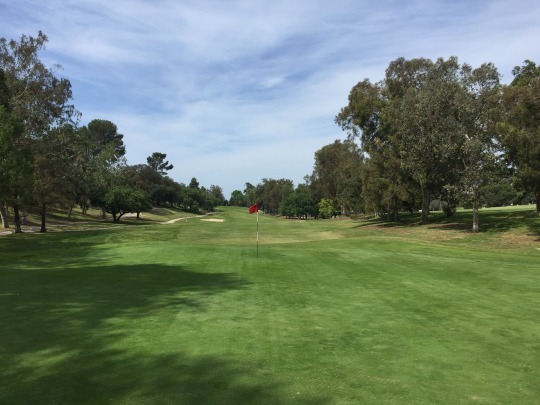 Rancho Park Golf Course (or just “Rancho” as most people call it nowadays) hosted the LA Open tournament for several years, as well as the U.S. Senior Open. Even with a 7:12 tee time, I figured it would be a slow round on a busy Sunday morning. 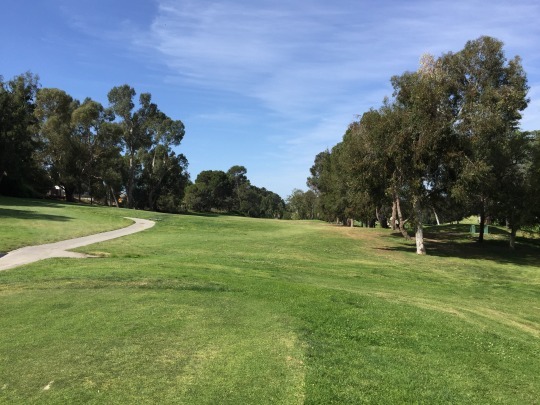 The weather was picture perfect for most of our round, as well. The driving range seemed fairly busy when I arrived, but the course was not. It was all very relaxed as we checked in with the starter and worked our way over to the first tee. By the time we hit our drives, the group ahead was already walking off the first green. We never really pushed them too much and the group behind never pushed us at all, so it was a relaxed pace of just over four hours. I was shocked all day at how remarkably uncrowded it was. One factor may be that they just aerated the greens the week prior. The other consideration is that the Passover holiday just started. Whatever the reason(s), it sure was nice for us to enjoy the course this way. However, by the time we were leaving, the place was rather packed and looked more like what we expected from Rancho Park on a Sunday. I guess there’s just not as many early birds as there used to be or it was just a complete fluke. I didn’t remember that much about the course itself, but it was a much more interesting and fun layout than anything I recall. 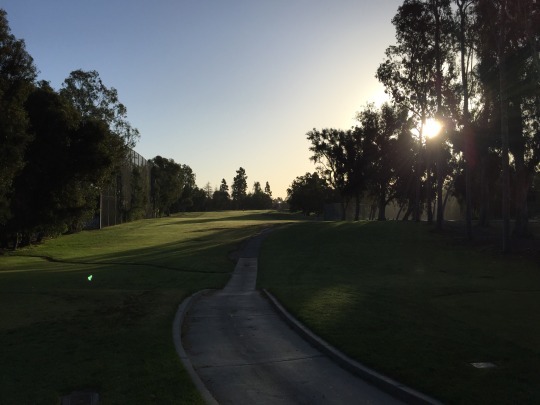 It’s fairly hilly with a lot of ups and downs between tees, fairways and greens. There are some tricky doglegs and semi-blind shots. 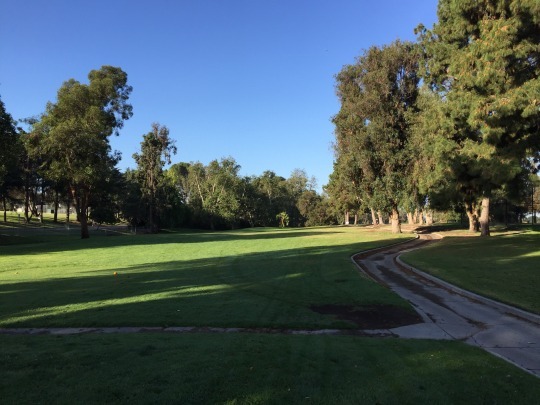 It really fits the bill as a classic style Los Angeles course, in that it has a few quirks but also offers a great look and feel throughout. I’m not sure there’s anything I would consider a signature hole, but the finishing set of back-to-back par-5s is interesting. 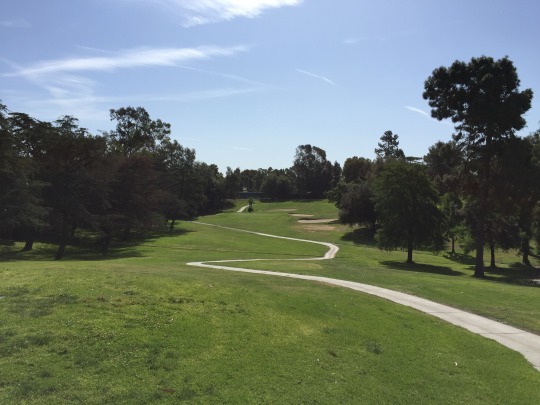 Then, the 16th and 17th holes also have unique features. They each have two greens that I assume alternate in usage from day to day. 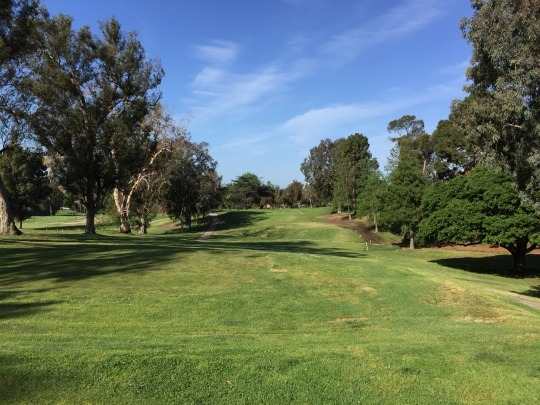 The 16th is a par-3 with two sets of tee boxes and the two greens, laid out in a criss-cross pattern. It looks like you play one combo or the other. The 17th is a nice par-5 with two greens that play to the same yardage. 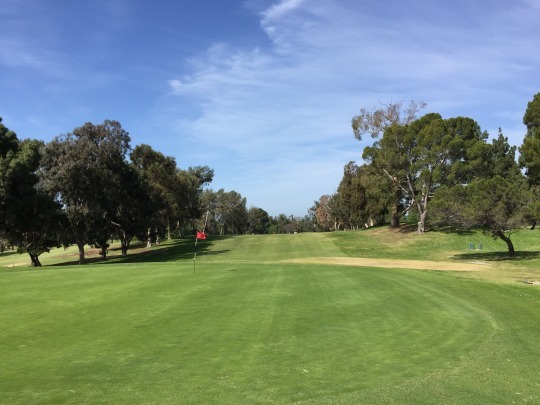 As you are going by this hole earlier in your round, you may want to take note of which green is being used so you can lay-up for the best approach angle if you are unable to go for it in two. Then the 18th is a solid finishing par-5. 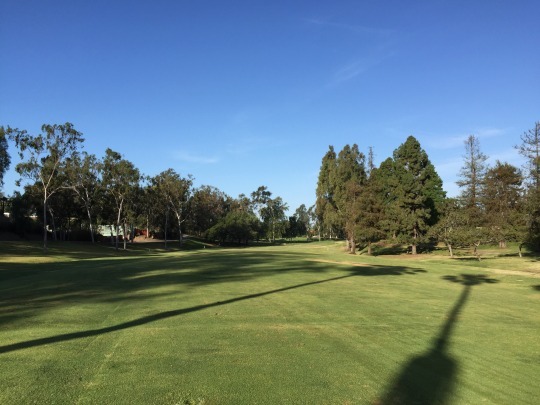 The tee shot is fairly wide open. 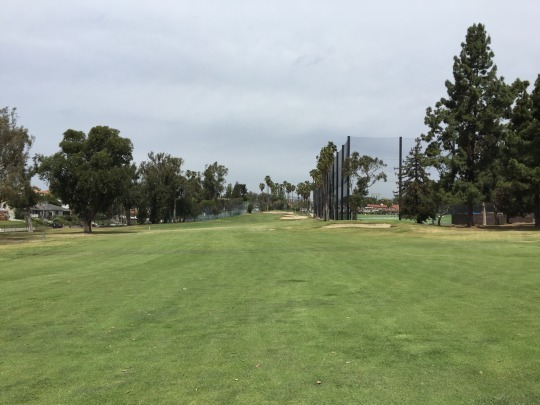 Then the driving range is along the right and the street/OB is along the left as the hole gets a little narrower and narrower with each shot in. 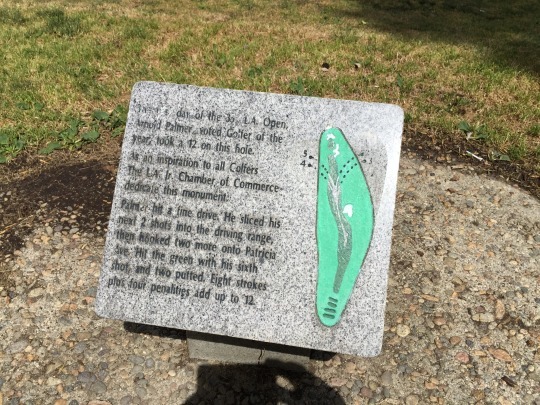 It’s a relatively short par-5 and not that difficult by today’s standards, but when you read that plaque and see that Arnie had a 12 on it in competition, it might put a little extra fear into your head. As mentioned, the greens were aerated only a week before we played, so they were still in very rough shape. They were sandy, bumpy and slow, but give them a few weeks and they should be good again. Beyond the greens, the rest of the course was in good shape. With so much play here, I can’t imagine it being much nicer tee to green than it is right now. 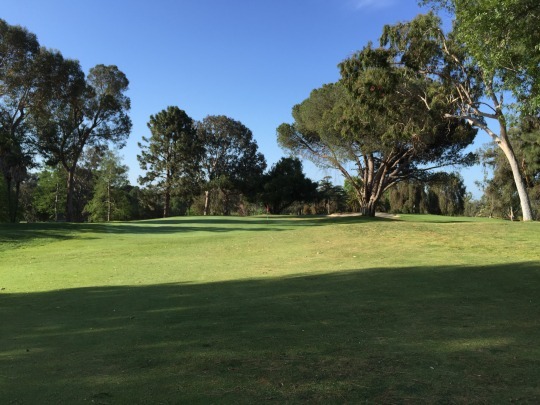 The tee boxes were generally good with just a few of the par-3s being chewed up. The fairways were generally great. Just a few weak spots here and there, but I almost always had great lies. The rough was a mixed bag. Most sections just off the fairways had good coverage with thick grass that was tough to recover from. Then the further away you stray from the fairways, the sketchier it gets. I was in one bunker and it was a bit firm and thin, but not terrible. 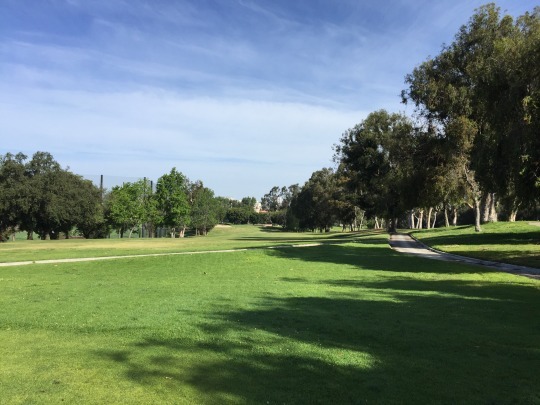 I think the fact that we caught the course on a good day (other than the aerated greens, which we knew of when we booked the time) helped make this experience at Rancho Park a very good one. 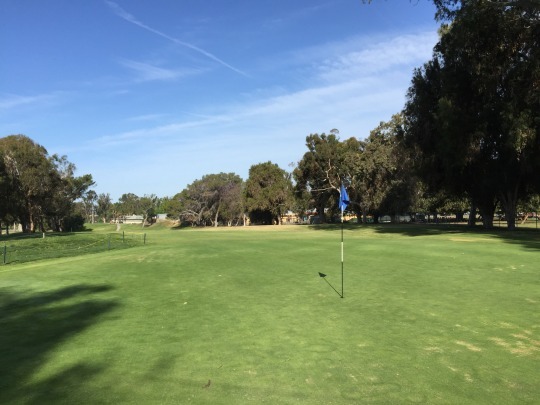 If I was stuck out here during a 6-hour round on a hot day, it would have definitely knocked some points off. 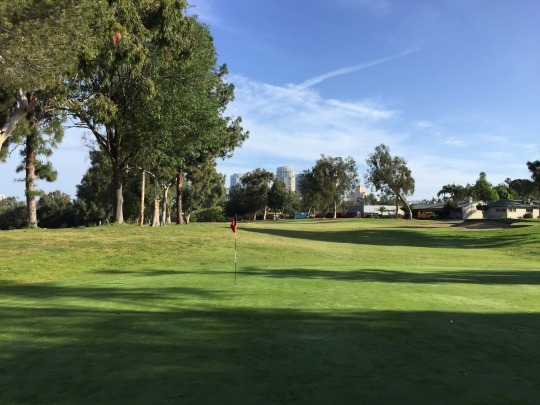 Otherwise, this is a very enjoyable course with a lot of history and tradition, located right in the heart of Los Angeles. 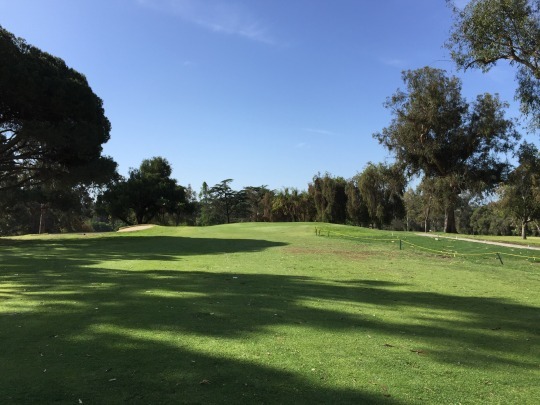 For those reasons, it is a course any Angelino (or any SoCal resident for that matter) needs to play at least once.